ACCESS, the largest Arab American community nonprofit in the U.S., is pleased to announce the addition of Ahmad Nabil Abuznaid, Esq. to its leadership staff. 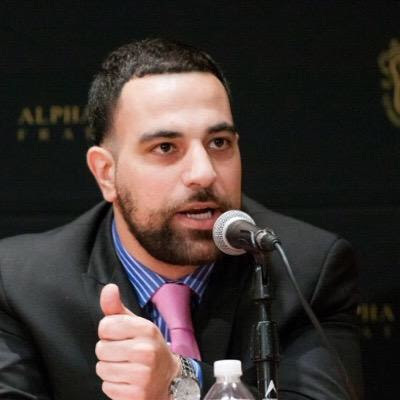 Abuznaid joins ACCESS as the new Director of the National Network for Arab American Communities (NNAAC)—one of three national institutions belonging to the 46-year-old organization. In 2014, Abuznaid advocated before the United Nations Human Rights Committee in Geneva, the Inter-American Commission on Human Rights and the United States Commission on Civil Rights. Ahmad has been a speaker on college campuses and at social justice conferences across the U.S., Canada and Europe. In 2015, Abuznaid began to lead delegations of activists from the Movement for Black Lives to Palestine, in an effort to deepen relationships and build coalitions that are engaged in similar work beyond borders. Abuznaid is a graduate of Florida State University and the Florida Coastal School of Law, receiving pro-bono honors. Abuznaid replaces outgoing NNAAC Director Nadia El-Zein Tonova, who was recently appointed Director of National Partnerships for ACCESS. As an ACCESS national institution, NNAAC serves a consortium of 27 independent Arab American community-based organizations throughout 12 states. NNAAC is dedicated to building the capacity of Arab American nonprofit organizations that focus on the needs and issues impacting local communities, while working to collectively address specific issues nationally. NNAAC—which champions the movement to TAKE ON HATE—is comprised of three main programs that include capacity building, advocacy and civic engagement, and youth and community service.